Charles Van den Avont was born December 6, 1931 in Ghent, Belgium to Ferdinand and Melanie (nee Saccasyn) Van den Avont. 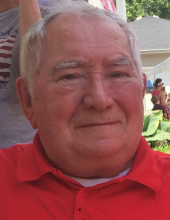 He died April 4, 2019 at the Lutheran Home in Arlington Heights. Charles immigrated to the United States in 1960 in search of a better opportunity. He started out working as a Building Superintendent and ended with a long career as a Civil Engineer for the Cook County Highway Department. He was very active with the Knights of Columbus, both locally and nationally. Charles is survived by his children, Christopher (Diane), Van den Avont; Craig (Sandy) Van den Avont and Cynthia (Andrew) Snarski; grandchildren, Margaret, Alexander, Mark, Andrew,Jr., Madeline, William and Henry. Charles was preceded in death by his spouse of 51 years, Joyce (nee Otten) Van den Avont, whom he married January 16, 1965 at St. Bartholomew Catholic Church in Chicago; his sister Simonne (late Oscar) Reno and by his parents. Visitation Saturday, April 13, 2019 at Glueckert Funeral Home, 1520 N. Arlington Heights Road from 8:30 am until time of prayers at 10:30 am, proceeding to St. James Catholic Church, 831 N. Arlington Road, Arlington Heights, for Mass at 11:00 am. Interment at All Saints Mausoleum at a later date. In lieu of flowers memorials may be given to Alzheimer’s Assn.Greater Illinois Chapter, 8430 W. Bryn Mawr, Suite 800, Chicago, IL 60631.Funeral Information and condolences can be given at www.GlueckertFH.com or (847) 253-0168. "Email Address" would like to share the life celebration of Charles Van den Avont. Click on the "link" to go to share a favorite memory or leave a condolence message for the family.